“Much-loved German confectioner Haribo has come under intense criticism after a documentary discovered cruel conditions in the manufacture of a key ingredient in Brazil. 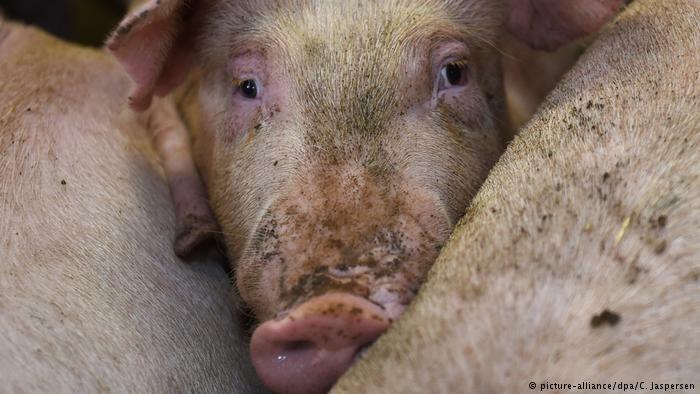 Pigs also suffer in the making of gelatin. Germany’s global candymaker Haribo was forced on the defensive on Thursday after a documentary by public broadcaster ARD revealed horrifying conditions for both the animals and humans responsible for the manufacture of key ingredients of the much-loved gummy bears and other Haribo products. Just so good to see people care about animals and not only the more favoured cats or dogs but an animal who people care little about, a tiny snake caught in a vicious glue trap where he would have died an horrific and lingering death. “While the rescue of any animal is wonderful, it’s always so heartwarming to see displays of compassion for the most misunderstood members of the animal kingdom – whether it be an insect, snake, or bat. All living things deserve respect and compassion, and that is just what these kind gentlemen gave a snake who was caught on a glue trap. Please continue reading – includes advice about how to humanely deal with so called pests. I hate the word pest and vermin, no animal is a pest, all are part of nature. A rat or a cockroach does not deliberately intend to cause anyone any inconvenience, they are simply doing what they do, living life as nature intended. This is their world too. Of course you cannot allow rats, mice, cockroaches or anything else to enter your home, contaminate your food and so on but please divert them humanely. What are the RSPCA doing and how can I help? Name and address of the store where the traps are being sold (include postcode where possible). The manager or owner of the store concerned (if known) and the address if different to above. The date you saw the traps on sale. Concerning the above: glue traps are shockingly cruel and should be banned and not used by anyone, trained professionals or otherwise. Please NEVER use a glue trap. Please do not subject a helpless little animal to such suffering, be it a rat, mouse, snake or cockroach. https://www.peta.org/living/humane-home/five-things-didnt-know-glue-traps/ Warning there are images of small animals struggling to free themselves from glue traps which are very upsetting. While I do not agree with any kind of experiment on any animal for any reason however seemingly benign, and causing anxiety as in the video below, is not benign of course, I have included it here as they demonstrate that rats care about and will help other rats. The footage shows that rats have empathy and are moral creatures, empathy and offering assistance to alleviate suffering is considered as moral by human standards. The NHS shouldn’t feel the need to consider drastic action like this. We surely all agree that this is drastic action which should under no circumstances be considered ever. No we need to talk about the tax payers money adequately funding the NHS rather than spending this money on other less important things – after all what the hell is more important than our health. Certainly not all the roads that are tearing up what little countryside we have, did you know that on average a mile of motorway costs a whopping £30 million! The M74 extension opened in Glasgow at a cost of £692m, which works out at £138.4m per mile or £78,000 a yard (£86,500 a metre). I can’t find any information regarding the total amount of money spent for the last year or any other information about annual expenditure on roads which the Tories seem over zealous in building in recent years. However as any motorist knows road building has been prolific in the last two or three years involving new roads and extensions to existing roads. Many in my opinion unnecessary. Money going straight into the bank accounts of private contractors no doubt. UK Defence spending was reported to be £45.4 billion. We need to talk about taking tax from those who can afford it, big corporations and other tax avoiders and dodgers. It’s time to increase the tax for the rich. It is estimated that that big business potentially underpaid £25bn in UK taxes last year. The government it seems are going after poor people who top up low wages or benefits by selling on ebay, dog walking and other odd jobs rather than target corporations. Again as is always the case, the government is working ‘for the few’ while penalising the many, but that is another blog for another time perhaps. Some estimates put this figure much higher at £34 billion. We are the sixth richest country in the world, surely there is money for healthcare, if there is not the government must find it, reduce the road construction budget and “defense”spending which since 9/11 has rose from £28 billion to £45 billion, take it from the wealthy with higher taxation. Why should someone live in a huge house, an expensive apartment, have zillions in the bank, yachts, holidays, second third homes while others die unnecessarily while our health service flounders? Maybe a drop in the ocean you might think but add all these drops add up and they become more significant. There is sufficient resources in the UK to provide the best healthcare for everyone. Ask most people what is more important than health, I doubt if anyone will say more road building. 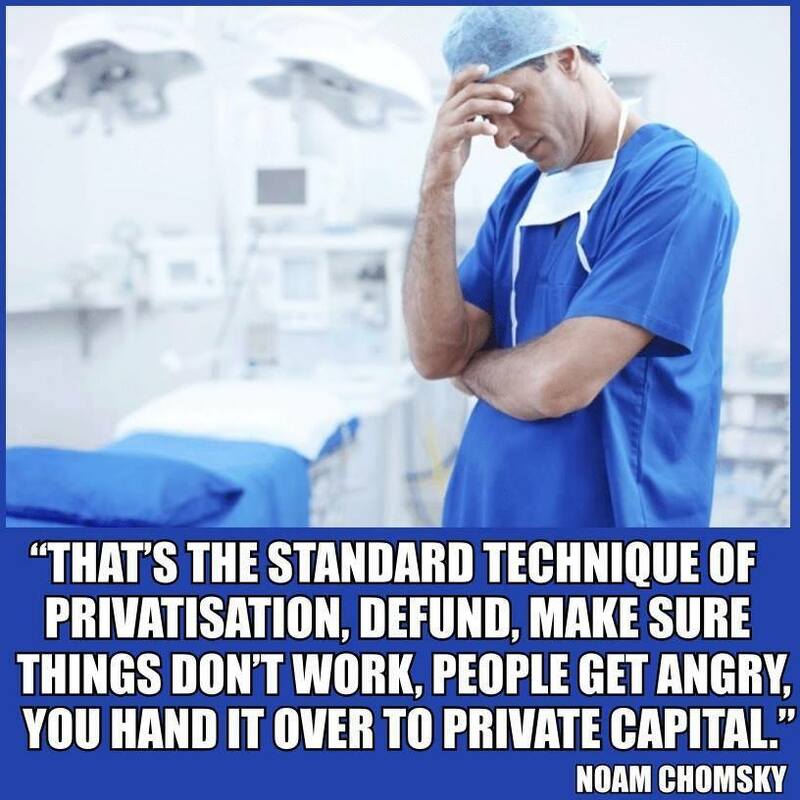 Frankly I think the government intend to deliberately send the NHS into crisis to prepare the ground for full privatisation which could well pave the way for an American style healthcare system with disastrous consequences of which I am sure most people are aware. Demand a fully funded NHS where the latest in health care is available to everyone and where the staff are paid a decent wage in keeping with all the hard and stressful work they put in caring for us all. If we do not do something now, our free healthcare provision will be a thing of the past. The hunting, shooting, slaughter, massacre whatever you want to call this cruel insanity – certainly not sport or recreation- of helpless animals is now in full swing here in the UK. I find this a very depressing time to be out and about in the countryside as this sadistic minority can pop up almost anywhere as they pursue relentlessly their cruel pastime. 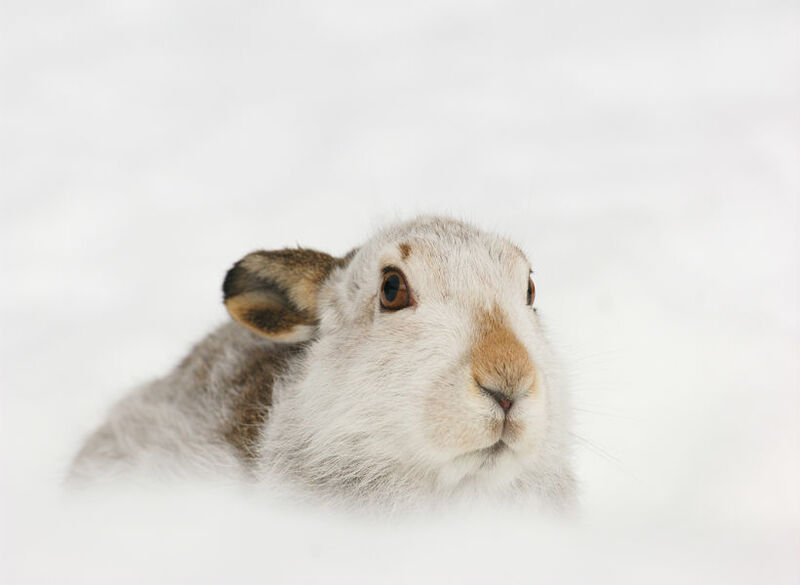 Scottish Mountain Hare – who would want to kill such a beautiful gentle animal? Many animals lose their lives at this time of year simply to satisfy the warped pleasures of a small group of people. One of these animals is the Scottish mountain hare. If you loath hunting and shooting please join me in signing and sharing the following petition calling for VisitScotland to stop promoting recreational mountain hare shooting. The article by the Sunday Herald Under fire: VisitScotland promotes shooting of hares for sport exposed VisitScotland’s support of mountain hare killing and publicised this new campaign. 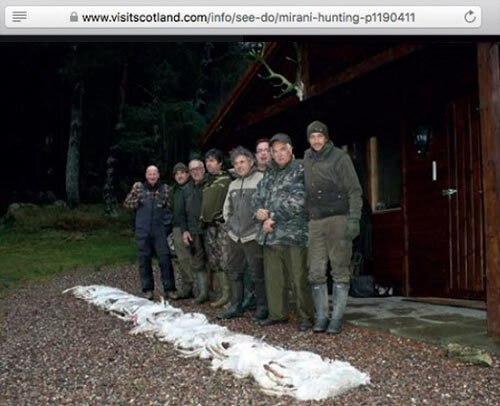 Hunters some from all over the world to kill Scottish wildlife. More are culled/killed by gamekeepers on sporting estates to help preserve red grouse for shooting. Information about hares from the League against cruel sports and actions you can take to help them. Veganism is more than just a diet, it is a way of life – at least it should be. An on-inline question on an internet forum asked: “is it okay to have an abortion if you are vegan?” I am astounded by such a question, though there is no clear cut yes or no as such an action depends on circumstances*. But generally speaking an abortion willy-nilly for convenience most certainly cannot be considered by any ethical vegan surely! It’s hard to understand how someone could be for the rights of animals to live but not for the rights of humans before they are even born. Veganism for me is a way of life, a statement of non violence to all beings, human and nonhuman animals, born or unborn. Veganism also means concern about and the advocation for the protection of our environment. The willful neglect and exploitation of our natural world cannot be condoned or participated in by anyone who is an ethical vegan as it harms all creatures both now and in the future, both human and nonhuman. Veganism for me includes not only the abolition of speciesism but also of racism, sexism ageism intelligenceism … any discrimination towards any sentient being. I hope to discuss in more detail all topics relating to vegan ethics but for this article today I will focus mainly on discrimination, in particular racism. I am shocked when I come across vegans who are racist, this being the most common and most violent category of discrimination concerning humans. The ethics of veganism has no place for racism. Regardless of race we are all one species, all sentient beings, all animals, all mammals as is a pig, a sheep, a cow or your cat or dog. You cannot promote the rights of non human animals while ignoring or even worse promoting harmful ideas such as racism, which leads to violent actions, towards the human animal. Incidentally animals have a thing or two to teach us about racism, anyone ever notice different breeds of dogs, rabbits, sheep, pigs and others segregating themselves from each other. To a rabbit another rabbit is a rabbit whether he or she is a dutch dwarf rabbit or a continental giant rabbit, a black rabbit or a while rabbit. To a rabbit, a rabbit is a rabbit is a rabbit. Regarding racism I have to say that I utterly loathe the term “people of colour”, used in the US to refer to anyone who is not white, this in itself is racist, discriminatory, a label dividing white from anyone who isn’t. It is difficult I know to describe the people we are concerned about without causing offence but surely if you really have to refer to someone’s race terms like African American, Spanish American, white American whatever their country of origin rather than People of Colour. The only time you need to refer to the color of someone’s skin or race is if circumstances necessitate providing a description of someone where you would also include gender, hair colour, height, weight and any other characteristics which aid recognition. Why the hell are people so prejudiced against anyone whose skin is a different colour other than white. What about hair no one seems to care what color your hair is and you are unlikely to face discrimination as a result of hair colour, so why skin? “Vegan groups or individuals will pay lip service to the notion of no racism, sexism, abelism and so on…but then do nothing about these odious implementations of oppression and/or exploitation. The sad sad truth is that if we aren’t actively working against this crap we’re (inadvertently or not) supporting it…either passively or actively. “White Veganism is a reference to mainstream veganism—which is, undeniably very white, narrow, one sided and ignores intersectionality. It aims to expose and erase the invisibility of oppression on other animal bodies to the masses, while simultaneously ignoring and being silent about the very visible injustice and oppression of black and brown bodies, femme bodies, or differently-abled bodies. Sometimes even utilizing the history of oppression on Black bodies and other oppressed groups as a tool to promote veganism. If you are vegan there should not be any place for racism in your life or any other kind of discrimination. You may harbour such thoughts, as we cannot help what we think as many people are brought up to believe in such prejudices and the terminology attached to them may stick in your mind, but in your deeds you should not support or promote racism or any other prejudice including sexism, ageism, heterosexism, religious intolerance, intelligencism and so on and on…all bring about harm. Regarding intelligencism, though not a word used often if indeed it is a word at all, both humans and nonhuman animals are often the subject of discrimination resulting from their level of intelligence. Non human animals considered as having less intelligence are often considered less important, even by some vegans than more intelligent animals – most people care about dolphins, primates, dogs and other animals considered more intelligent but fewer care about insects or fish, animals considered less intelligent though evidence is slowly showing that fish and insects are more intelligent than people think. But this is beside the point, the life of any creature is important to that being regardless of how intelligent an animal is, intelligence in any case measured by human criterion in comparison to human intelligence. Likewise with humans people higher on the IQ scale are considered more highly than those who rate much lower and people of lower intelligence are discriminated against, are the but of jokes, are generally poorer, paid less and marginalised. It should be mentioned that there is a difference between a vegan diet and a vegan lifestyle. If you are embracing a vegan diet you may be doing so only for reasons of improving your health, though most people adopting a vegan diet for this purpose may be more likely to describe themselves as being on a plant-based diet. Going vegan for some can simply mean cutting out animals derivatives in food. Such a person may continue to wear leather and in all other respects may not change their standards of ethics in regards to either human or nonhuman animals. Don’t get me wrong even if you are on a vegan/plant based diet for personal health considerations this is great news all round not only for your wellbeing but also inadvertently for animals and the environment. The above is not intended as a criticism of people on vegan diets for health reasons. However if you are an ethical vegan your concern should include both human and nonhuman animals equally without any from of discrimination. Veganism for me is an all encompassing ethic to endeavour to avoid harm to any living being whenever possible in any form. You might find it a struggle to maintain such an ethic or even reach the point of what the Hindus, Jains and Buddhists call ahimsa (non-violence) of which Gandhi was an advocate, but please at least be mindful to do your utmost to avoid harmful actions towards human and nonhuman animals including discrimination. More quotations from Gary L. Francione regarding veganism as an all encompassing ethic of nonviolence and non discrimination. * Concerning abortion. To avoid the need to respond to the heated comments this topic often generates I will here state my position on abortion. Firstly while pro life or anti abortion is seemingly more associated with the right, I state now that I am firmly left wing. Pigeonholing issues such as abortion in reference to political persuasion is in my opinion ludicrous. My stance on abortion is that it should only be carried out in very special circumstances such as the poor health of the mother: If the mother’s life is at risk or if she has a serious mental health condition, but the latter only after much consultation. It is outrageous and a grave social injustice that the UK should even consider deporting any asylum seeker to a country where he or she is likely to face death or imprisonment, which is the case for Hadija Mwenshee. Surely this is what the term asylum means, sanctuary from harm and threat to life or liberty. “The UK Government says, “We don’t deport LGBT asylum seekers and we never will.” Is that a lie? Let’s stop the deportation and detention of HADIJA.A. MWENSHEE NOW! We, the undersigned, petition the Home Office to free Hadija Mwenshee [HO Ref M1446619] from detention, and not to deport her to Tanzania, where she faces a grave risk of harm and a threat to her life and liberty. 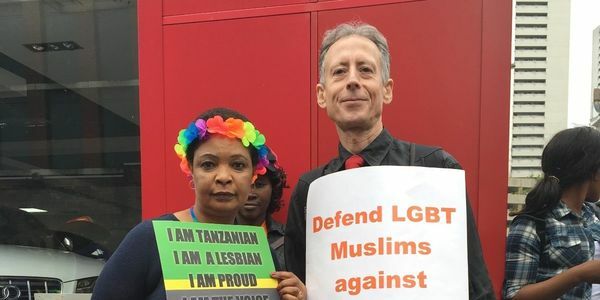 Hadija is a Tanzania lesbian who has been active in the LGBTI community in the UK. She is much loved and respected in our community, and we reject any suggestion that she is somehow not a genuine lesbian. Hadija has a visible online presence, and gay haters and tabloids have already published her in their news accusing her of explicitly promoting homosexuality in the UK. Please allow Hadija to continue her life in the UK and to live freely in an open and tolerant society. The outcome for Hadija is bleak if she returns to Tanzania, this deportation must be stopped. Monday to Friday, 9am to 5pm. The minicom service is for members of the public with impaired hearing. Of all the animals on earth, with the exception perhaps of insects arachnids and other tiny creatures colloquially referred to as creepy crawlies, fish it seems are the least valued or considered as sentient beings. Fish are intelligent animals who lead complex lives that rival those of your dog and other mammals. Dolphins and whales are accepted without doubt as intelligent creatures, sensitive, aware, conscious: sentient. But what about other aquatic creatures – the myriad species of fish, 2,7000 in all, which is more than all vertebrate species combined – are they sentient? Approximately three new species of fish are discovered each week! And even more vast are the huge numbers of species of other marine creatures, invertebrates such as molluscs – octopuses, squids, snails, slugs. Do they possess sentience? The ocean is a vast habitat teeming with life, astronomical in number and diversity, creatures dwell even in the most inhospitable of environments. The reason that this article will only focus on fish however does not imply that other aquatic creatures lack sentience, in my opinion most animals are sentient. What are the indicators that fish are sentient. It is often considered that fish are primitive life forms, however as the oldest vertebrate group of animals they have been evolving for 400 million years, they have had time to evolve complex and diverse behaviours. Because of their amazing diversity fish are said to be the most successful of all vertebrates. One good indicator of sentience is a creature’s ability to express emotion, but how is emotion expressed in fish? How do we know that a fish feels distress or fear, how do we know if he or she feels pain or joy or experiences pleasure? Another good indicator of sentience is intelligence, are fish intelligent? Many people think not, but research is proving otherwise. Pain is the most basic indicator of sentience, but do fish experience pain? The excuse of anglers when catching fish with hooks that pierce their mouths is that this area is numb and they do not feel pain. As you will see later on this is one of the most erroneous misconceptions of all the incorrect ideas many people have concerning fish, it is as unfounded as the notion that cows keep producing milk. Of all animals exploited for food, fish are thought to be the least sentient and sadly this is due to a number of misconceptions, most notably their lack of facial expression which many people think equals a lack of feeling and conscious awareness, in other words sentience, and are consequently not capable of feeling pain or emotion. This is an incorrect assumption. Consider dolphins and Whales who similarly lack expression, at least in comparison with how we show feelings, yet few would deny that dolphins or whales are sentient, intelligent and that they feel pain. In her article ‘What Fish Feel’ researcher Stephanie Yue of the University of Guelph in Canada explains the findings of her team and discusses the ethical implications. The following are extracts concerning the findings of research into the sentience of fish, which among other points of relevance demonstrates that rainbow trout not only have the ability to learn but also to recall what they have learnt. This may be because our present knowledge of assessing suffering in fish is inadequate— in part because fish do not typically display traditional and obvious signs we are familiar with in other animals. They are not capable of facial expression, nor can most species of fish vocalize; given their general anatomical structure, changes in body posture are extremely limited. However, recent anatomical, physiological, neuropharmacological and behavioral studies suggest fish can suffer in ways similar to “higher” vertebrate animals. From our studies on highly domesticated rainbow trout, we have seen these fish show behavior that is much more flexible and complex than was previously acknowledged. We have found that trout have some cognitive capacity that rivals that of mammalian laboratory animals, like rats. They not only show the ability to learn, but they also have memory of the things they learned—so they can anticipate events and adjust their behavior accordingly. This means some of their behavioral repertoire is “purposeful” and lends evidence toward “conscious” behavior. In addition to the above there is and has been considerable research into the sentience and intelligence of fish. The fact is fish are conscious creatures, they are sentient, research demonstrates that they are far from the automatons we have been led to believe. Lets start with the most popular criterion which many people adhere to as indicative of sentience: intelligence. As before it is important to bear in mind that intelligence or lack thereof does not imply a lack of sentience, but if we can demonstrate that a creature is intelligent it does go a long way towards establishing sentience. But we should perhaps bear in mind that animal intelligence is not comparable to our own, even though when the presence of intelligence is researched in animals it does seem as though we try to prove animals have similar intelligence rather than demonstrate that animals have perhaps a different kind of intelligence. A degree of intelligence of some type does of course demonstrate sentience, but is nonetheless not a prerequisite. “Tests on fish in aquaria at Oxford University have shown that despite their tiny brains, they possess cognitive abilities outstripping those of some small mammals. Dr Theresa Burt de Perera made the discovery using blind Mexican cave fish, which rely on subtle changes in pressure to detect the presence of objects around them. “In experiments, Dr Burt de Perera found that the fish did more than merely avoid bumping into objects in their tank. They built a detailed map of their surroundings, memorising the obstacles in them within a few hours. Once stored in their brains, the fish used their “mental map” to spot changes in the obstacles around them – a feat that defeats hamsters. “Researchers from universities across America have published research showing that some fish use sound to communicate distress when nets are dipped into their tanks or they are otherwise threatened. In a separate study, researcher William Tavolga found that fish grunted when they received an electric shock. In addition, the fish began to grunt as soon as they saw the electrode, clearly in anticipation of the torment that Tavolga was inflicting on them. Extracts from The Hidden Lives Of Fish. One species of wrasse, has been filmed engaging in a marine version of tool use. “In May 2014 a study highlighted an example of innovative tool use by Atlantic cods being held in captivity for aquaculture research. Each fish wore a colored tag affixed to its back near the dorsal fin, which allowed the researchers to identify each individual fish. The holding tank had a self-feeder activated by a string with a loop at the end, and the fish soon learned they could release a morsel of food by grabbing the loop in their mouth and pulling on it. Tusk Fish using rock to crack clam! Multitasking? Yes indeed fish are very adept at this, an ability the eludes me. Many people perceive fish as all being the same both in appearance and behaviour, creatures of habit, automatons with no distinguishing characteristics. In my view this is yet another inaccurate observation and one which scientists are in the process of disproving as research validates that fish are individuals with their own personalities and behaviours. Below is an extract from a Times on-line article, which unfortunately is now not available without registration, by Mark Henderson, Smart School of Fish Expose Stupidity of a Popular Myth, which features a study led by Lynne Sneddon of the University of Liverpool conducting research into the intelligence of fish. The finding of which not only demonstrate that fish are smarter than we think but they have good memories and are individuals . 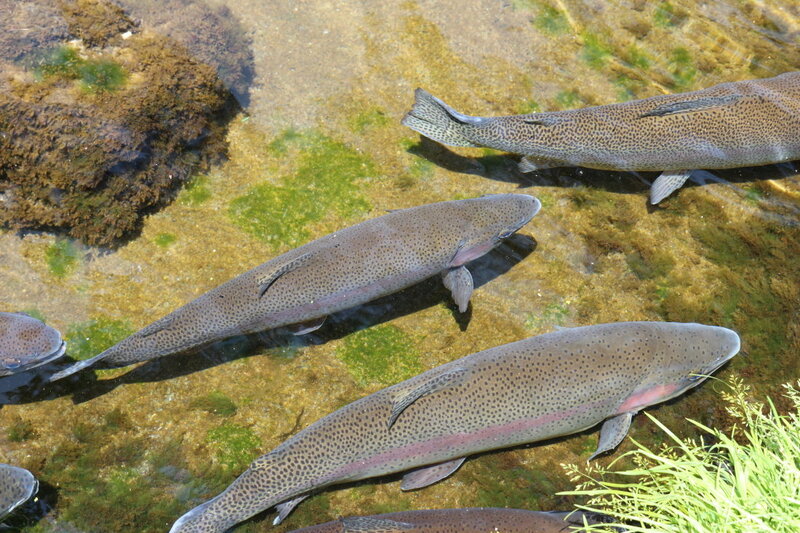 “Rainbow trout certainly have contrasting personalities. Some are bold and some are shy. The bold fish take risks, they are quick to learn, more aggressive and active. Shy fish are cautious and timid, and spend more time under cover. Fish have the capacity to feel pleasure. Sentient beings are capable of experiencing pleasure. Most people would not equate fish as creatures with the ability to enjoy themselves and experience pleasure, again another misconception. Here are some examples of the ways that fish experience pleasure. All animals like to be stroked, cat and dog owners know the pleasure their animals derive from being stroked and indeed the pleasure we derive from stroking them. Fish it seems also enjoy the sensation of being stroked. Contrary to popular belief fish are highly sensitive to touch, equipped with sensory organs they can detect pressure changes in the water and minute electrical fields. Grooming by such creatures as cleaner shrimp and cleaner fish is likely undertaken for the pleasure of the tactile sensations involved in addition to the benefits of grooming. The use of cleaning stations, a place where fish and other aquatic animals gather to be cleaned by fish of several species and other creatures, is a widespread phenomenon. The cleaner fish or other creatures nibble parasites such as fish lice, fungal growth, loose skin and other irritations from the skin. Yes most certainly fish like to be touched, they have been observed to rub against one another. Fish even enjoy the sensations of touch by humans and fish who are used to divers often allow themselves to be stroked by them. There appears to be no advantage here, such as food or other benefit, other than pleasure from the sensory sensation. Do fish seek out pleasure, do they play? Surgeonfish in at a zoo in the USA were observed to gulp in air at the surface of their tank, swim to the bottom release the air and chase the bubbles to the surface. There is admittedly not a lot of evidence that fish play other than anecdotal, but there are numerous indications that they do. Most of us have seen fish repeatedly leaping out of the water, we may conjecturally imply that this is some form of play as it serves no other perceivable purpose. A curious creature is aware is he not, it is his awareness, his consciousness that sparks his curiosity. Curiosity is a sign that a creature is sentient. But are fish curious? Fish are known to investigate unusual objects in their environment. Children paddling in fresh water often experience first hand the curiosity of little fish who nibble at their legs. Watch the following as this little fish follows this person’s finger, curiosity surely. Last but most certainly not least: fish feel pain. As with all animals the most basic indication of sentience is the ability to feel pain and fish like all animals are capable of experiencing pain. Without sentience there can be no pain, pain is felt, it is experienced by a creature who is aware, the animal has to be aware, conscious in order to feel the painful sensation and to recognise it as painful and thereafter to avoid a recurrence of the painful stimuli. So if we can establish that fish feel pain we are well on the way to validating the concept that fish are sentient. Every creature feels pain, without pain no creature would survive for very long, pain is a basic survival mechanism. To my mind it is common sense that fish like all animals feel pain. Fish have the ability to feel pain just the way that your cat or dog does or indeed you yourself. Fish have a nervous system, this is a fact long known by neurobiologists; they like us have a brain and nerves that sense pain in much the same way as we do. The brains and nervous systems of fish are very like our own. In fact fish have endorphin like neurotransmitters, opiate like painkillers, which act just as they do in humans and other animals, and that is to relieve pain. This is their only function, they are natures pain killers, they exist in fish as they do in ourselves in order to relieve pain. Scientists have mapped pain receptors all over thier bodies including thier mouths, the obvious conclusion is fish feel pain. Yes anglers, even in their mouths, a hook in this sensitive area is rather like having your teeth drilled in exposed areas without an anaesthetic! Below is an article of which the angler should take special note before catching a fish on a barbed hook. Research challenges the myth among anglers that fish can’t feel pain from barbed hooks. “Every year, sportsmen around the world drag millions of fish to shore on barbed hooks. It’s something people have always done, and with little enough conscience. Fish are … well, fish. They’re not dogs, who yelp when you accidentally step on their feet. Fish don’t cry out or look sad or respond in a particularly recognizable way. So we feel free to treat them in a way that we would not treat mammals or even birds. But is there really any biological justification for exempting fish from the standards nowadays accorded to so-called higher animals? Do we really know whether fish feel pain or whether they suffer — or whether, in fact, our gut sense that they are dumb, unfeeling animals is accurate? Determining whether any type of animal really suffers is difficult. A good starting place might be to consider how people feel pain. When a sharp object pierces the human body, specialized nerve endings called nociceptors alert us to the damage. Incredibly, no one ever seems to have asked before whether fish have nociceptors around their mouths. My colleagues and I in Edinburgh, Scotland, recently looked in trout and found that they do. If you look at thin sections of the trigeminal nerve, the main nerve for the face for all vertebrates, fish have the same two types of nociceptors that we do — A-delta and C fibers. So they do have the necessary sensory wiring to detect pain. In my view there is nothing that can outweigh the cost of suffering to another creature, most certainly not financial or recreational. There are numerous out door pleasurable pursuits which cause harm to no creature, for instance bird watching and walking. There is nothing more exhilarating than walking in natural surroundings and observing nature and the great variety of life both on land and in the water, surely to experience nature and her creatures as live animate beings, must be a more satisfying experience, rather than fishing – viewing the demise of another living being after struggling for his last gasp of air, in pain, on the end of an anglers barbed hook! Fish also experience emotional distress in response to pain and have been observed to engage in a rocking motion after experiencing pain. This type of motion is very similar to that seen in other animals including ourselves. People with mental health conditions such as anxiety disorders may rock backwards and forwards in response to stress. Likewise people with autism rock backwards and forwards a behaviour referred to as stimming, it is thought that such behaviours are engaged in as a method of relieving anxiety and stress. Fish, as we have previously discussed, have good memories and can suffer from the anticipation of pain. Often cruelty to fish is not considered due to the misconception that fish do not feel pain, that they are not sentient, and most bizarre of all, that they are not animals despite the fact that most people have had at least basic biology taught to them at school. Trying to change the way people think about farmed land animals is difficult enough but when it comes to fish the task is even more problematic. Fish and other aquatic creatures need to be treated with the same consideration as other sentient beings such as your dog or cat or your budgie. Birds of course and in particular poultry are often considered in the light of similar misconceptions. Read more about the common misconceptions concerning fish and the abuse that they sufferer as the are dragged from their watery environment.